My husband and I just arrived home after a sunny weekend in Florida. 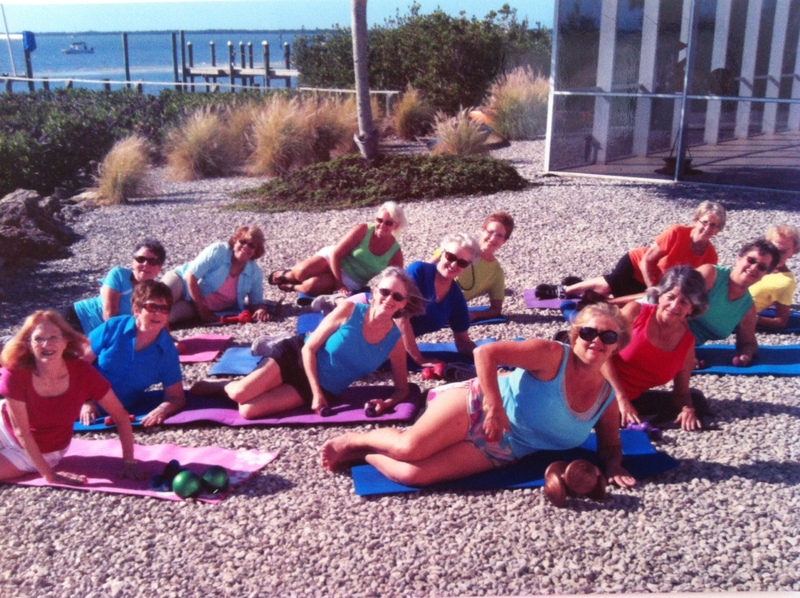 The Pine Island Civic Association’s Exercise Group invited us down to lead seminars that included proper exercise techniques, correcting muscle imbalances, healthy eating tips, a fun 3.5-mile walk/jog, exercise classes and so much more. I’m not quite sure what we expected before we arrived, but over the course of the weekend, we met some fabulous people between the ages of 54 and 80…and were blown away by their fitness levels and sheer determination to get into the best shape of their lives. They are the strongest bunch of retirees we have ever encountered, and have proven to us that anyone can get fit no matter their age. This post is dedicated to my new friends on Pine Island…below is the salad dressing, as promised. Combine all ingredients and toss well into a salad. Serves 4. Can’t wait till you both come back and see us again! We will be in much better shape than this time. you’re welcome!!!!!! it was our pleasure!